Find out more about the team doing the research. Parvati Raghuram is Professor in Geography and Migration at the Open University. She came to the UK after her MA in India. She completed her PhD at the University of Newcastle-upon-Tyne in 1993 and worked in Middlesex and Nottingham Trent Universities before joining the Open University in 2005. She has published widely on gender, skilled migration and development, international study and on postcolonial theory. She co-edits the journal South Asian Diaspora and the Palgrave Pivot series Mobility and Politics with Martin Geiger and William Walters both at Ottawa. Her most recent book is Gender, Migration and Social Reproduction (Palgrave). Ashley Gunter is an Associate Professor in Geography at the University of South Africa. He started his academic career at Monash South Africa, a branch campus of Monash University in Australia. His research interests lie in the neoliberal state of education in the post-apartheid South African system as well as infrastructure and development. He is a council member of the South African Geographical Society, has been a Research Fellow at Oxford University and the University of Edinburgh and is an Associate Member of the OpenSpace Research Centre. He is on the editorial board of InterEspaço: Revista de Geografia e Interdisciplinaridade, and Cogent: Social Science. He has published and presented on development issues in South Africa and can be found on twitter @DrAGunter. Dr. Bart Rienties is Professor of Learning Analytics at the Institute of Educational Technology at the Open University UK. He is programme director Learning Analytics within IET and head of Data Wranglers, whereby he leads of group of learning analytics academics who conduct evidence-based research and sense making of Big Data at the OU. As educational psychologist, he conducts multi-disciplinary research on work-based and collaborative learning environments and focuses on the role of social interaction in learning, which is published in leading academic journals and books. His primary research interests are focussed on Learning Analytics, Computer-Supported Collaborative Learning, and the role of motivation in learning. Furthermore, Bart is interested in broader internationalisation aspects of higher education. He has successfully led a range of institutional/national/European projects and received a range of awards for his educational innovation projects. 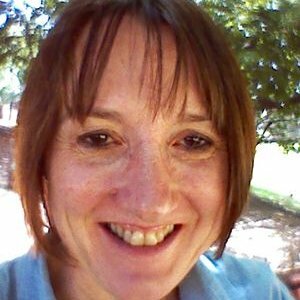 Katharine Reedy is a Learning and Teaching Development Manager at the Open University specialising in Learning Design, and Senior Fellow of the Higher Education Academy. Before joining the Learning Design team she played a leading role in curriculum development for digital and information literacy, creating award-winning open resources for students and staff. She has a keen interest in involving students as partners in their own education and actively works with a dedicated group of OU students to engage them with curriculum design. Katharine is collaborating with selected UNISA academic staff both to evaluate module design using OU Learning Design tools and approaches and also to assess applicability of OU Learning Design approaches in an African context. She provides training and support for project team members in OU Learning Design workshop facilitation techniques. Markus Roos Breines joined the Open University as a Postdoctoral Research Associate on the IDEAS project in April 2018. His doctoral research demonstrated how urban-urban migration in Ethiopia transformed people’s values, knowledge and status, and led to the formation of a loosely defined group that can be described as being middle class in Ethiopia. Markus has been trained in qualitative research methods and has conducted extensive fieldwork in Ethiopia for his PhD in Social Anthropology (University of Sussex). He holds a MaRes in ‘Anthropological Research Methods’ from SOAS, UK and a BA in Social Sciences from NTNU, Norway, and Addis Ababa University, Ethiopia. He has also conducted policy research in Ethiopia for IOM and ICMPD on notions of risk and on smuggling among Ethiopian and Eritrean migrants and refugees. Markus has a background working and volunteering with asylum seekers and refugees and has a strong interest in migration in sub-Saharan Africa. Mwazvita Dalu is a Post-Doctoral Research Associate for the IDEAS project. Mwazvita completed her MSc at Rhodes University, and has since completed her PhD in the department of Environmental Science at Rhodes University. Mwazvita has focused most of work on development, gender, social justice and livelihoods. She has extensive knowledge and experience in conducting both qualitative and quantitative research within the Southern African context, having conducted much of her research in South Africa and Zimbabwe. Mwazvita’s full bio can be found at www.mwazvitadalu.weebly.com and on Research gate. Paul Prinsloo is a Research Professor in Open and Distance Learning (ODL) in the College of Economic and Management Sciences, University of South Africa (Unisa). His academic background includes fields as diverse as theology, art history, business management, online learning, and religious studies. Paul is an established researcher and has published numerous articles in the fields of teaching and learning, student success in distance education contexts, learning analytics, and curriculum development. His current research focuses on the collection, analysis and use of student data in learning analytics, graduate supervision and digital identity. Paul was born curious and in trouble. Nothing has changed since then. He blogs at https://opendistanceteachingandlearning.wordpress.com/ and his Twitter alias is @14prinsp. Reuben Lembani is a Post-Doctoral Research Associate for the IDEAS project. Reuben completed his MSc. in Environmental Science and has since completed his PhD in Geography and Environmental Studies from University of the Witwatersrand, South Africa. His research is concerned with cross-boundary issues of environmental monitoring and management, focusing on natural ecological restoration. He has extensive knowledge and experience in designing research procedures and protocols for both qualitative and quantitative research in both South Africa and Zambia. He has published and presented on the effects of land use land cover changes on the dynamics of ecosystem function.